Against all odds, London 2012 Olympic Games is a priority for all of the world's top tennis men and women. For some legends, such as Steffi Graf and her husband Andre Agassi, the Games are not as big as the Grand Slams, but for this generation of tennis players the Olympics are a huge deal. Why? For a start, Olympic Gold is priceless! Second, it's only the sixth time since 1988 tennis will be part of the Games and this year the Olympic tournament takes place at the All England Lawn Tennis Club just three weeks after the completion of the regular Wimbledon tournament. This is likely one of the reasons players are feeling enthusiastic about the event - What more could you ask than having the chance to play, twice the same year, in the most prestigious and respectable tennis club in the world? By the way, in 2012, the Olympic champion not only gets the most-wanted gold medal but will also be awarded 750 points for the players rankings. And for some top players, such as Serbia's Novak Djokovic, representing and winning the medal for their countries is the main motivation. Maria Sharapova will have the honor of carrying the Russian flag in the opening ceremonies of her first Olympic Games. She announced the good news on her Official Facebook on Wednesday. "Ahh finally I can share some exciting news with you! After the third round of the French Open, I woke up to a pretty memorable message. The Russian Olympic committee chose me to be the flag bearer at this years Olympic opening ceremony. I am so honored, and especially excited as it will be my first Olympics in my career. I have had to keep this hush hush for two weeks and keeping secrets is not my best quality! ", announced "Masha". The new world nº1 has also the chance of achieving a career singles golden slam. 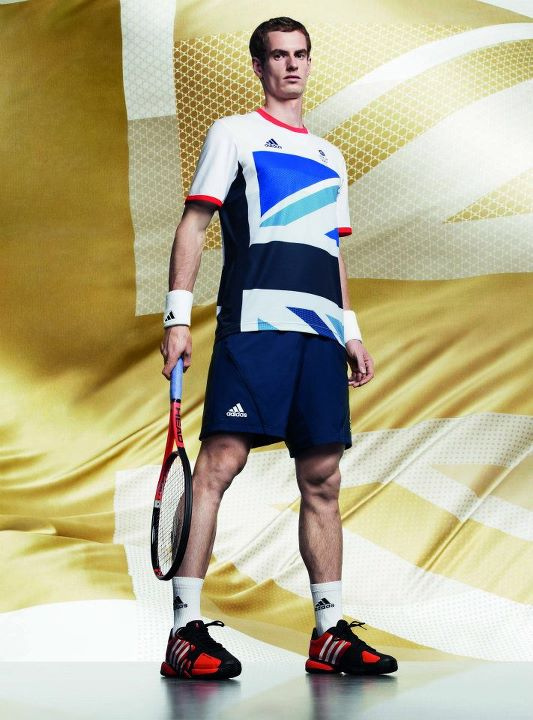 Andy Murray has high hopes for Wimbledon's Olympic tournament, which will be held between July 28 and August 5. He will have the british crowd on his side and he is set to play all three events: men's singles, doubles, and mixed doubles. "Tennis at the Olympics has become a big deal," Murray said to NBC. "Ten or 15 years ago, guys were skipping the Olympics. Everybody is playing it now." To British nº1, "Olympics is a different feeling and a different atmosphere than just a regular tournament". "You feel like you are playing for your country. On tour, you are kind of playing for yourself. "If you lose in the semifinals of a Grand Slam, you are disappointed. If you win a bronze medal at the Olympics, it's huge", Murray added. Adidas has already previewed his outfit for the Games. Cute, isn't it? Like his girlfriend Sharapova, World No. 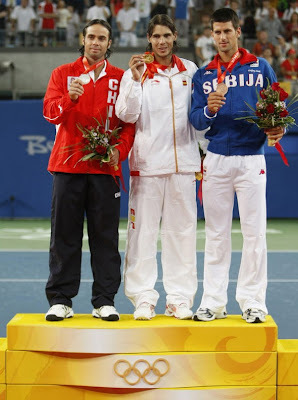 1 Novak Djokovic will serve as flag bearer for his country, Serbia, during the opening ceremony at the Summer Olympics. “We are all very excited about the Olympic games in London, such a magnificent sporting event, and it goes without saying what a great honour it is for me to carry the flag for Serbia,” Djokovic told AFP. Novak was one of three Serbian medalists in Beijing 2008, he got the bronze medal for tennis men's singles. Rafael Nadal, David Ferrer, Nicolás Almagro, Fernando Verdasco, Marcel Granollers, Feliciano, López, Anabel Medina, Carla Suárez, María José Martínez, Nuria Llagostera and Arantxa Parra are the players selected by Spain for Olympics tennis tournaments. Rafa is the reigning Olympic gold medalist and will be joined by Ferrer in singles and doubles. Their partners will be Granollers and Lopez. Verdasco and Almagro will only compete in singles. 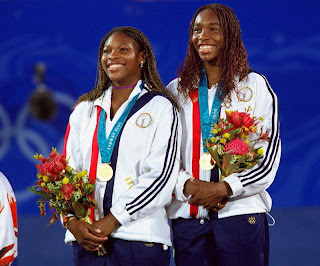 Venus, a three-time gold medalist, climbed to 47th in the WTA rankings released on Monday and will likely qualify to the Olympics, joining her sister Serena (fifth in the ranking). Christina McHale and Varvara Lepchenko will likely make it to the squad too. In the men's competition, the US will have Andy Roddick, Donald Young, Ryan Harrison and John Isner, who is trying to convince Venus or Serena to team up with him in mixed doubles. Serena, just like Maria Sharapova has the chance to achieve a Golden Slam. Daniel Nestor, gold medalist in doubles in Sydney 2000, will team up with Vasek Pospisil to try and get the gold back to Canada. Milos Raonic will be Canada’s lone entry in the men’s singles and Aleksandra Wozniak in women’s singles. 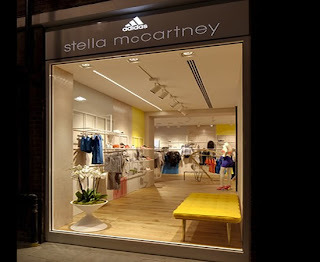 Adidas opened its first standalone Adidas by Stella McCartney store in London. With the Games in the city in just 42 days from today, the store expects massive visits from sports fans. For them, it will be filled with McCartney’s yoga and tennis outfits, running ensembles, swimwear, outerwear and gym bags. It will also carry Great Britain's Olympic team outfits. The store is 800-square-foot, two stories, and is located near the biggest Adidas department store in Fulham Road. The top 56 singles players in the world as of Monday’s rankings qualified for the Olympic tournaments, which will be held at Wimbledon. The International Tennis Federation will announce the official list of entries on June 28. Additional nominations for players who did not make the rankings cut-off can be submitted to the ITF to be considered for ITF places. A total of six men and six women per country are allowed to participate with a maximum of four singles players, two doubles teams and two mixed doubles teams per draw. Competition begins on Wimbledon's grass courts on July 28. All finals will be held on Aug. 4 or 5. To learn more about the rules for the Tennis Olympic Tournament go here.